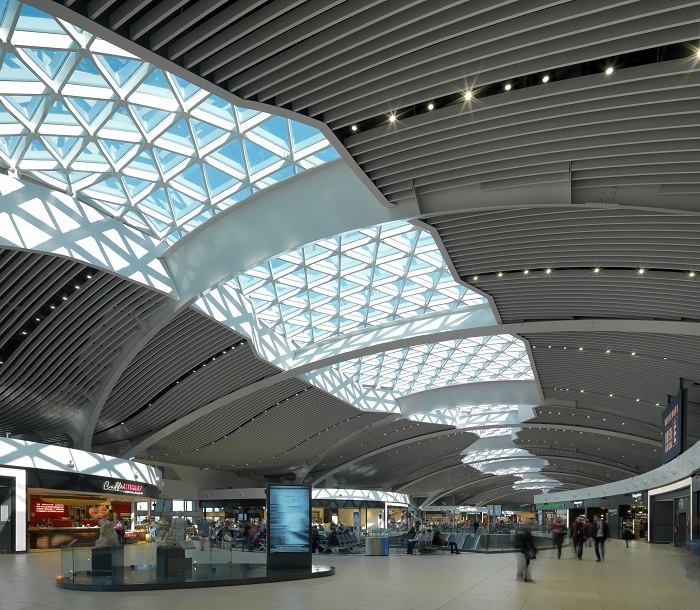 The recent refurbishment of Italy’s Fiumicino airport in Rome has seen the design and specification of a vast sweeping ceiling canopy incorporating Hunter Douglas Architectural’s Tavola Baffle ceiling system. 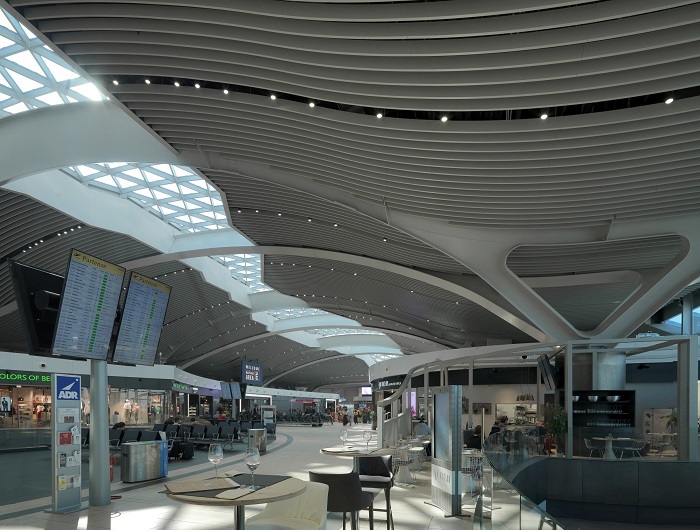 The ceiling canopy, which has been designed to let in great swathes of natural light, looks down on over 10000sqm of luxury retail outlets on the first floor and a 3000sqm Italian food and beverage street which also features Hunter Douglas Architectural’s Tavola system within the ceiling void. 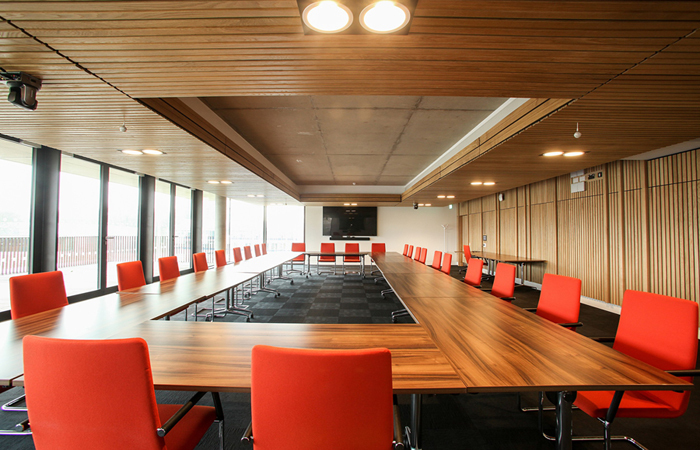 Hunter Douglas Architectural Tavola Baffle ceilings are available in a wide range of lightweight steel or aluminium finishes. 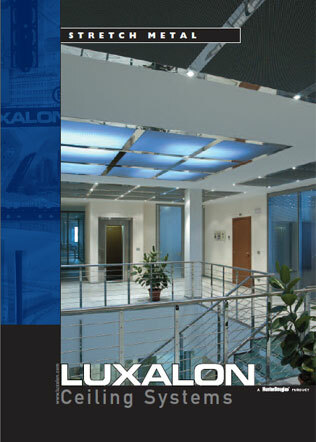 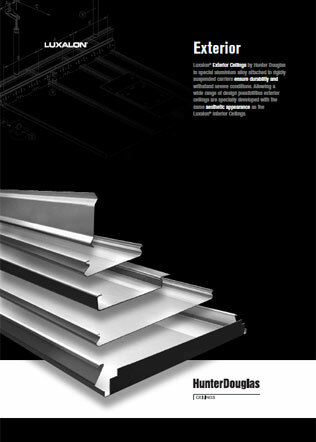 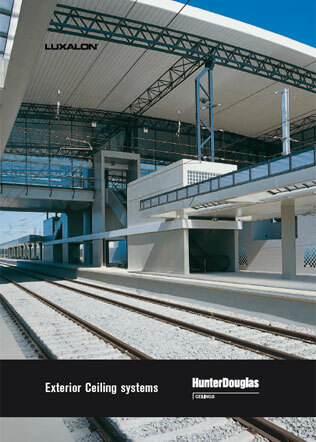 They can be specified in lengths up to 5000mm, profile heights of 50 – 300mm and 20, 30, 40, and 50 mm widths. 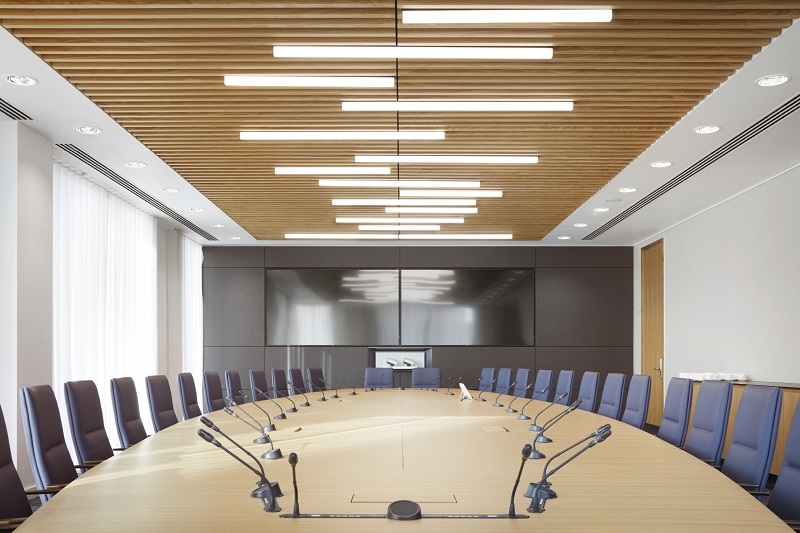 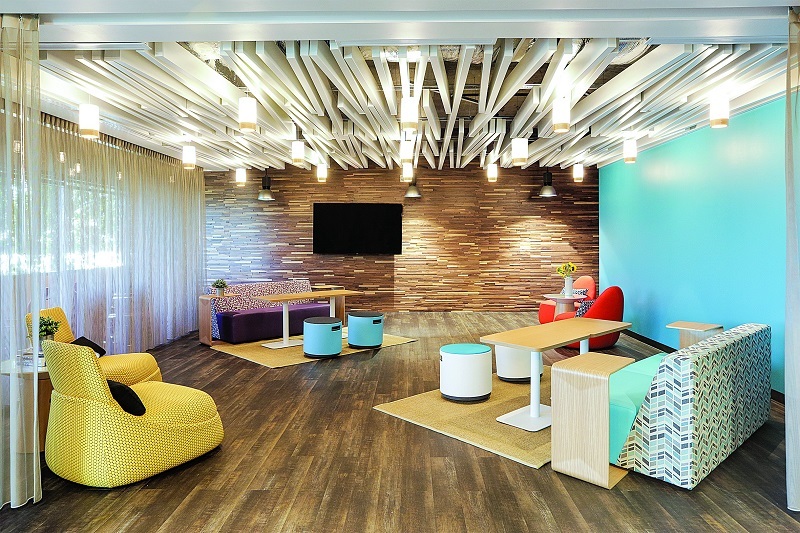 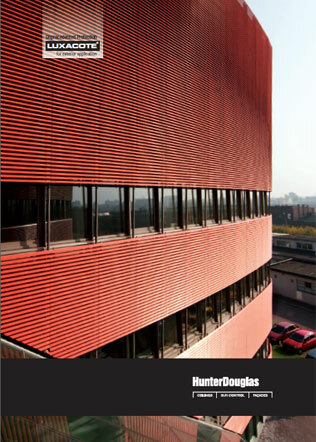 Panels can be specified straight, with varying depths and widths to create rhythm and relief or as divergent beams to create an unlimited variety of figures and shapes. 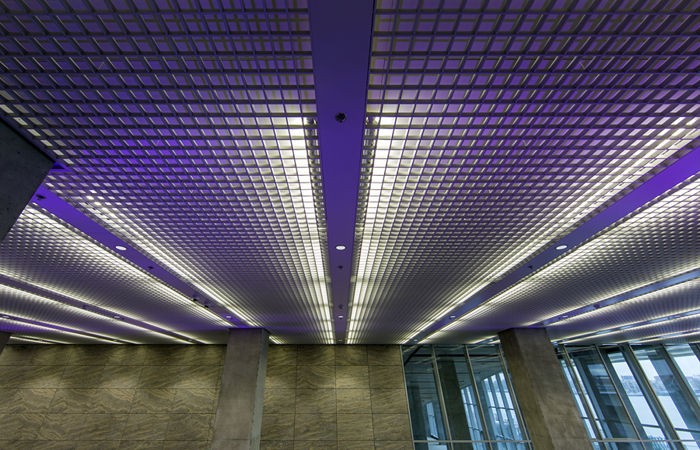 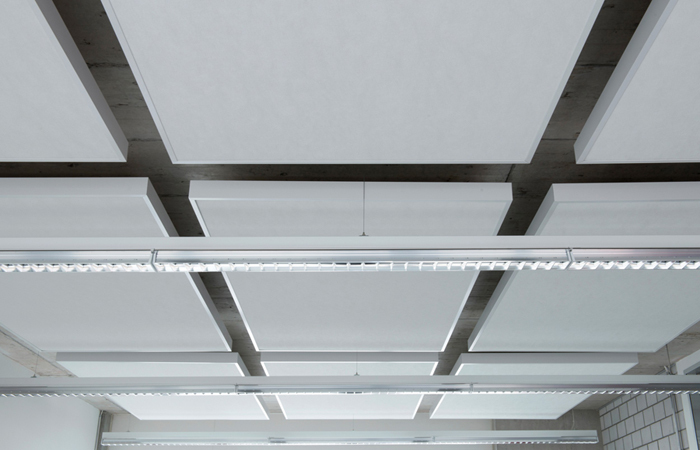 A range of perforated patterns can be incorporated for enhanced acoustic absorbtion an increasingly important factor when designing for large open spaces.